Are Cold-Pressed Juices Good for You? These Facts May Surprise You. By now, you would have come across or tried cold-pressed juices. These usually come in a rainbow of vibrant colors and promise a variety of health benefits such as cleansing/detox or an immunity boost. While cold-pressed juices sound appealing (& healthy), the question is: Are they actually good for you? "At first glance, it is reasonable to think that juice has health benefits. Whole fruit is healthy, and juice comes from fruit, so it must be healthy, too. But when you make juice, you leave some of the most wholesome parts of the fruit behind." It is true that fruit & vegetables contains plenty of fiber to fill us up and stop us from eating too much. However, the juicing process strips away their fiber & protein leaving mostly sugar and water. Think about how much fruit go into making a serving of cold-pressed juice. Now think about how much sugar that equates into if the average apple contains 20g of sugar and pineapple almost 90g of sugar. 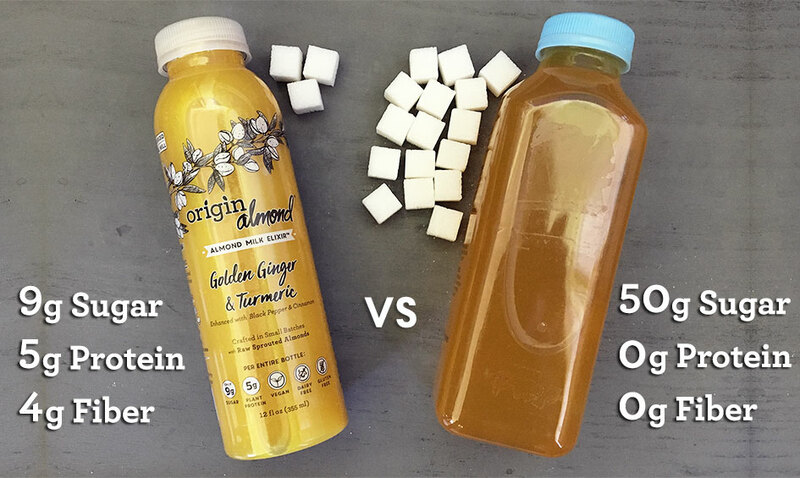 As a matter of fact, one of the most popular cold-pressed juice blends in the market contains up to 50g of sugar in one 16oz. bottle! To put that into perspective, that's almost the equivalent of 50 gummi bears, 3 Snickers candy bars, or.... wait for it... a Starbucks Unicorn Frappuccino (yikes). Thankfully not all cold-pressed products are created equally. Our line of Cold-Pressed Elixirs contain nourishing plant-based protein and fiber with only 9g of sugar per entire bottle. 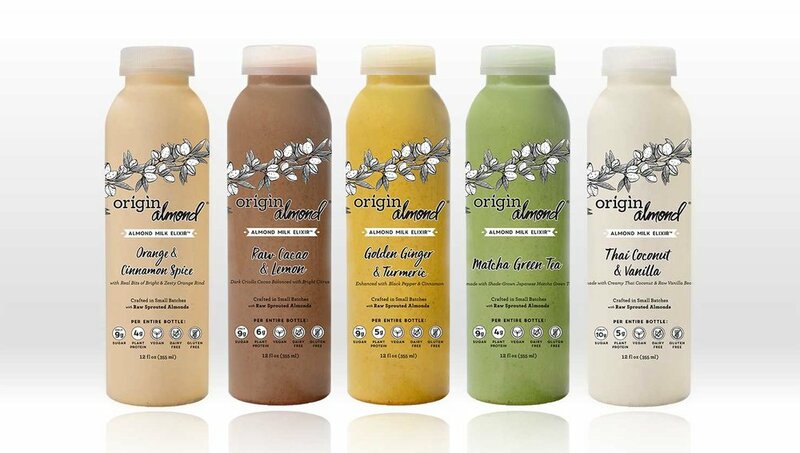 You get to enjoy the full goodness & fresh-taste of cold-pressed at a fraction of the sugar content. Furthermore, along with different superfoods to offer a variety of potent health benefits, all our elixir formulas also contain organic lemon for cleansing, detox & alkalizing benefits. Learn more about our Elixir lineup here.